Today we listened to every song by artists that are similar to Glasvegas and we have no idea where to look for great music now, so come on and give us some nasty tunes and skankin’ reggae. 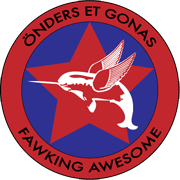 Gonas likes all kinds of music and Önders hates music, so if you know a good song put it in our Spotify playlist. Rock on!